Neon Glasses — Rainbow Symphony, Inc. Custom printed Neon Fireworks Glasses® with company names and logos are ideal for corporate promotions, co-op advertising and large events with multiple sponsors. Inexpensive enough to give away, Fireworks Glasses are the perfect promotional item and are printed in black light activated neon colors. 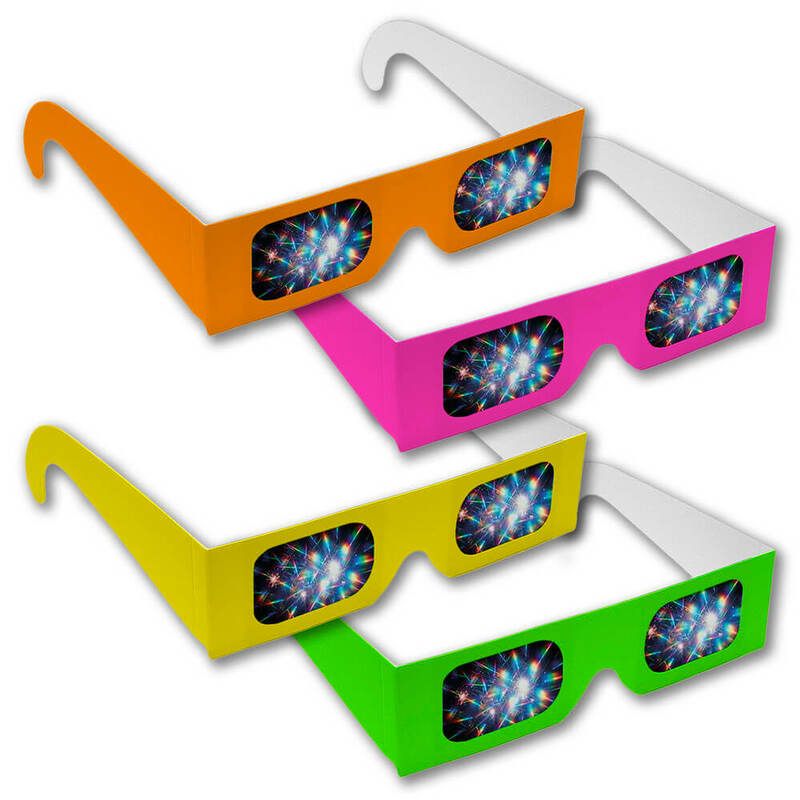 Choose from our selection of stock Neon Fireworks Glasses.